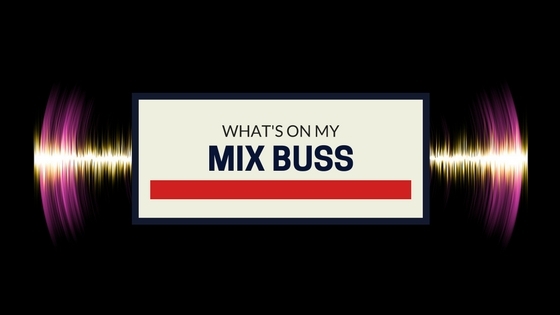 What’s On My Mix Buss? Mix buss processing must be done tastefully and subtly since any plug-in placed on your master fader is essentially touching every track in your mix. However, it is also where the magic happens in terms of glue and cohesiveness. I’m always tweaking my mix buss chain and of course tailor the chain for the track’s needs, but this is my starting point. Each unit placed on the mix buss needs to have a specific purpose and be judiciously used. Mind you, this is not my MASTERING chain, and there is no limiting or loudness processing done at this point. I always leave ample headroom on the mix for the mastering engineer and use mix buss processing to accomplish specific tasks. It may look like a lot, but everything is quite subtle and the sum of the parts impact the music in a magical way. Magic AB is a innovative, yet simple new plug-in from Sample Magic which allows you to quickly and effortless check reference tracks against your mix. It is inserted PRE mix buss process to ensure that the references are not processed by these plug-ins and there’s no need to open a separate audio player or import the reference track as a ‘track’ in your mix. The plug-in supports up to 9 reference tracks! You can save presets of different songs of different genres, set loop points, and even level match the reference track to your mix to ensure a fair comparison. Magic AB really makes using reference tracks a breeze. While I use VCC on nearly every track in the channel mode, the Mix Buss goes (not surprisingly) on the master fader. The plug-in emulates analog summing and subtly (or not so subtly) colors the mix, adds a touch of crosstalk, and harmonics. The result is a mix with more depth, analog vibe, and feel. The difference consoles represented are RCA, API, SSL, Neve, and Trident. The choice depends on the type of music and color you’re after. My favorite is actually the Trident setting due to the fact the lows are powerful and the highs remain crisp, while some other settings may be a bit more warm, punchy, etc… I’ve even found that automating a console change for different sections of the song can be a great way to help differentiate between verse and chorus. Try it! This extremely tweakable and innovative plug-ins is one of the best at altering the stereo image of a track without running into phase issues. I prefer to start with the AnaMix preset which is mixed into. The settings add a bit of gain to the side channels, and high pass the sub frequencies in the sides which ensure a less muddy, more punchy mix keeping the deep lows in the center. Small amounts of a slightly delayed center image are sent to sides and vice versa. This part of the effect is hardly audible at first, but gives mixes a great sense of depth and width. This parallel equalizing tone box comes straight from the creator of the Clariphonic hardware and does one task extremely well. The plug-in opens the top end based on certain corner frequencies, all in parallel, and never becomes harsh! On individual tracks, its fine to push the plug-in harder, but on the mix buss, keeping settings subtle is a great way to add presence, clarity, and sheen to the mix without over brightening the track. The VBC plug-in is simply one of the best in-the-box buss compressors around modeled after famous compressors such as the Focusrite Red, SSL Quad Comp, and Fairchild 670 with a few added options for tweakability. Once again, settings are very program dependent, but I’ll often use one of these compressors, or possibly two in combination with each with just a touch of gain reduction. 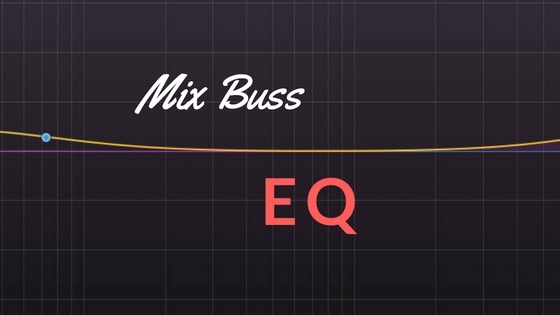 The goal of buss compression is to glue the mix together for a more cohesive sound. I’ll keep these bypassed until about 3/4 of the way through the mix, at which point I’ll engage the compression so when I set my final levels and automation, the sound won’t be altered. 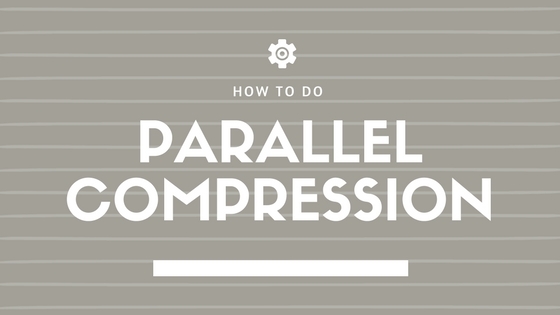 Having side chain input detector high pass filters to keep the low end in-tact, wet/dry balance knobs, auto-release and drive settings are really handy features of the compressors as well as…their compression of course! Now this isn’t the only buss compressor I’ll use, I also like the Vertigo, Shadow Hills, T-racks, API, and Elysia, but its a great starting point. I learned this trick from Jaycen Joshua. Inserting the multi-band imager on the mix buss and only processing the mid-range with a subtle (10% or so) setting of width has a great way of keeping the low end punchy, top end crisp, and giving a slight extra width boost to the mids which give the mix a wider feel to draw in the listener. I must sound like a Slate Digital advertisement by now – but they are doing something really special over there! 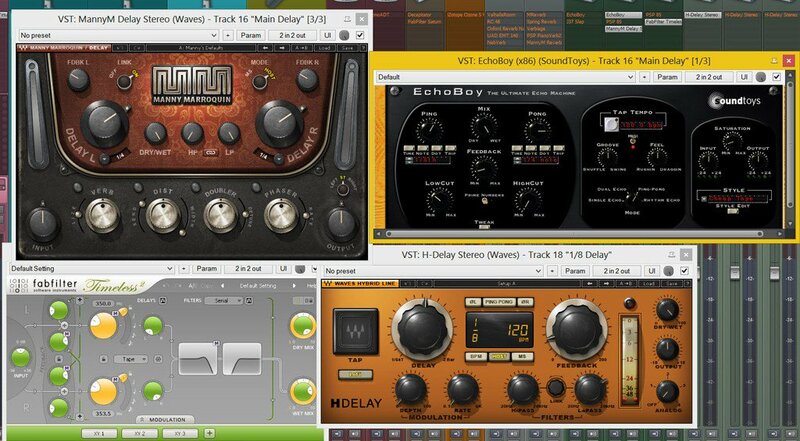 The Virtual Tape Machines plug-in expertly models the sound of two famous tape machines and tape brands. While more colorful settings can be used on individual tracks and busses, on the mix buss, I like to keep things subtle again using the FG9 tape, 1/2 Inch Tape Machine, and 30IPS to keep all the top end and punch. The end result: a more cohesive feel to the mix, solid bottom end with a smooth top, and touch of analog flavor. As I mentioned, I’m not going to use any limiting on the mix buss as I want to keep all of the dynamics in-tact and worry about loudness later. 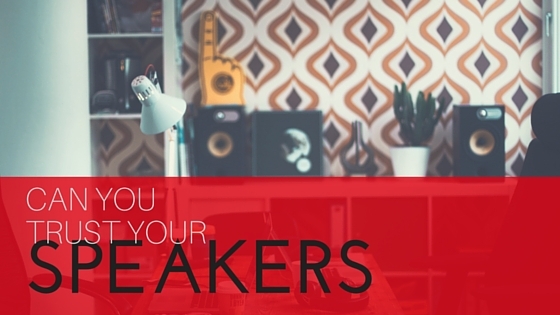 This FREE plug-in simply protects your ears and speakers from any unintended loud audio (pops, plug-in bugs, automation mistakes etc..) by ensuring that any audio over a set threshold is smoothly turned down. Fast, easy, and simple, it is a great way to protect your system from overages. Mix buss processing must be done tastefully and subtly since any plug-in placed on your master fader is essentially touching every track in your mix. However, it is also where the magic happens in terms of glue and cohesiveness. I'm always tweaking my mix buss chain and of course tailor the chain for the track's needs, but this is my starting point.